Research is a powerful tool that can share the impact of Special Olympics programming, encourage others to get engaged, secure partnerships, inform legislative bodies and create evidence-based programming. Special Olympics research policy papers distill the organization's scientific findings into shorter overviews of topics of particular interest to the movement. Designed for readers without scientific backgrounds, these papers often draw from multiple sources to explore a issue, rather than just summarize one research study. The Research Bibliography lists citations for all research papers commissioned by Special Olympics and other papers related to intellectual disability. From the lack of quality health care to the negative misperceptions of people with intellectual disabilities by the public, Special Olympics research examines the numerous disparities confronting people with intellectual disabilities. By better understanding these needs, Special Olympics can determine the best ways to address them. A new survey shows that unemployment among people with intellectual disabilities is more than twice as high as for the general population. This research confirmed the widely acknowledged position that people with intellectual disabilities are excluded from many aspects of society. For decades, many have believed that the doors to inclusion in mainstream society have been shut tight because of misconceptions, ignorance and fear. SOI commissioned this report to examine the health needs of children and adults with MR. Especially as adolescents and adults, people with MR and their families face evergrowing challenges in finding and financing primary and specialty health care. This report suggest approaches that could be implemented to improve both the length and quality of their lives over the coming decade. 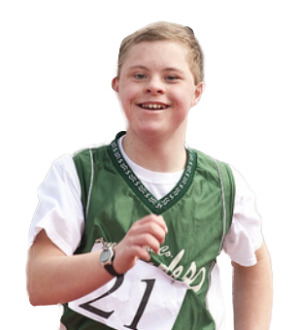 Special Olympics has established through large-scale objective studies that it is having a large and positive impact on the lives of people with intellectual disabilities, their families, and communities and society at large. Special Olympics has never been more relevant to families and society because it promotes attitude changes and encourages enlightenment as the standard in society instead of the exception. This research was designed to explore how family members of Special Olympics athletes are involved in and benefit from the movement. This study evaluates the impact participation has on various aspects of athlete well being. In addition to examining the status of people with intellectual disabilities, Special Olympics research also looks closely at its own initiatives in order to gauge their success and improve them. The study looks at four developing counties in four different continents. The SOGII/Unified Football pilot project brought together athletes and partners to train and compete as equals on the football field. Camp Shriver programming is designed to provide a normative, fun, camp-like experience for young people with intellectual disabilities. The program was created to promote motor, social, and cognitive development in children through physical activity and play.